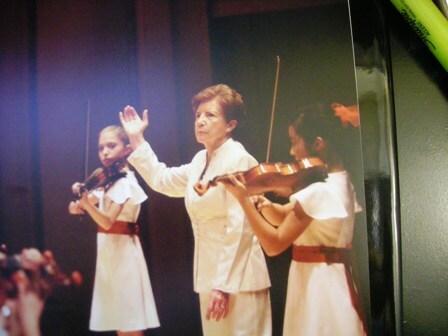 For the past 40 years the students of Betty Haag-Kuhnke, founder and director of the BH Academy, have been traveling the globe to National and International acclaim with the touring group known as the 'Magical Strings of Youth'. 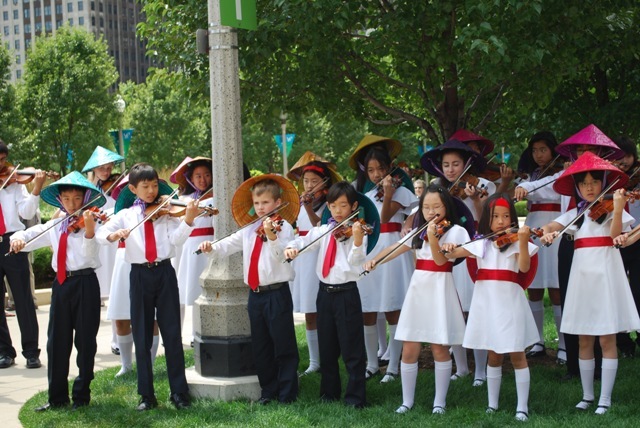 These young violinists ranging from the age of 4 to 17, have had the pleasure of traveling to Austria, Australia, China, France, Germany, Italy, Kazakhstan, Korea, Portugal, Russia, Singapore, Spain, Taiwan and several other countries where few Americans have had the privilege to go. From the initial tour in 1976, while on their first European trip, the children were fortunate enough to play to standing room only concerts at the Berlin Philharmonic Hall and concerts throughout Germany. 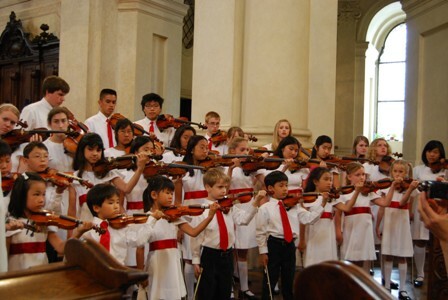 The following year the young violinists were invited back to Germany for an encore tour, that included a Christmas special with renowned German opera singer Anneliese Rothenberger. Since then, the performing group has returned to Europe several times, opening the World Music festival in the Netherlands, the Stradivarius festival remona, Italy and performing at the Vatican playing before 100,000 people in St. Peters Square for Pope Benedict XVI. In the US, the Magical Strings of Youth have performed multiple times at the White House, plus appeared at the Kennedy Center in Washington D.C., the Lincoln Center, and to sold out audiences at Carnegie Hall, in New York City. 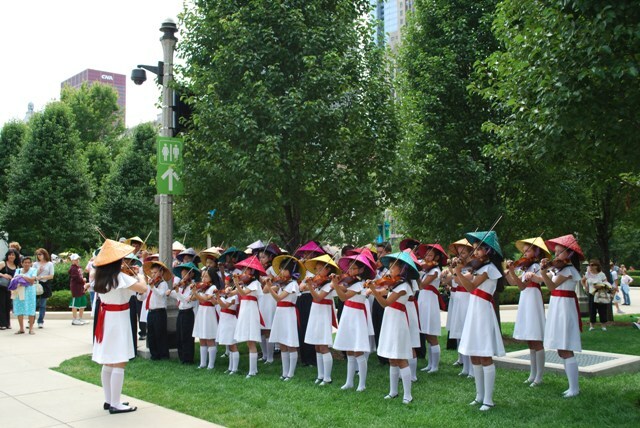 Locally, the children have performed with the Chicago Symphony, Grant Park Symphony, have appeared on AM Chicago, Oprah Winfrey Show, 'Kids say the Darnest Things', with Bill Cosby, and many other local venues. Such as, the 'Holocaust Remembrance Day' by invitation of Mayor Daley, they performed on a special program with the Joffrey Ballet, and are also regular entertainers at the Chicago Bulls games. In June of 2008, our students returned from Prague, Czech Republic and while there performed with Maestro Alan Heatherington and the Czech Philharmonic Orchestra at Smetana & Dvorak Halls. Also, performed at other venues including the Beethoven Festival, St. Nicholas Church and Lobkowicz Castle among others. Sharing the stage with gifted Concert Violinist Vadim Gluzman for several of the performances.